With the launch of the brand new Sunseeker 131 Yacht at the London International Boat Show in January 2016, we bring you one of the finest 37m Sunseekers that is already available for charter along the striking Adriatic coastline. BARRACUDA RED SEA is a firm charter favourite, offering expansive volumes throughout her interior spaces and entertainment areas, ideal for family charters and celebrations around Croatia and Montenegro. AUSTRALIS is our Super Yacht of the Week and a great choice for your summer yacht charter in the Adriatic. 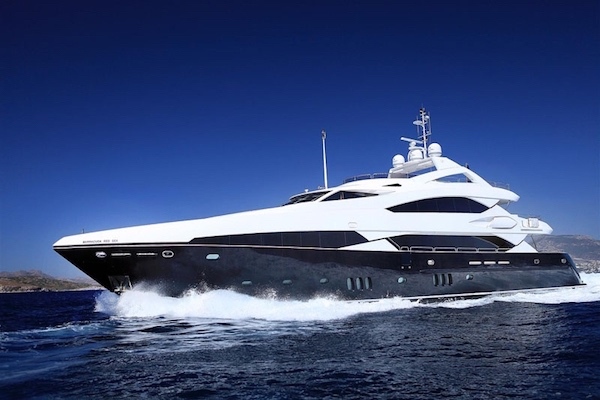 This 48m Oceanfast motor yacht has outstanding deck spaces and a myriad of water toys, making her the perfect choice for families looking to have fun. Croatia and Montenegro are two of the most popular yacht charter destinations for this summer, offering stunning scenery, amazing anchorages and idyllic itineraries.